That’s funny. You’re going forward, we’re going backward. We decided that we want to get a second hive next spring or later this summer and we’re going to put them in a Warre Top Bar Hive, then we don’t even have to have foundation, the bees do it all. Of course it takes longer, but it’s just like they do it in the wild when they don’t have people around. We’re excited to see how it goes. We’re going to keep our current hive so we can compare the two. What I THINK is that I thought about you last night while watching The Office! Dwight was talking about bees! And I laughed out loud when he said “let’s fill Michaels office with bees”. Probably not what you were looking for, sorry. YD – that was my main interest too! Chiot’s Run – I am interested in seeing how you make out with natural cell. What first got me irritated enough to make this switch was the wax moths which remain a problem with natural cell. Still, the mite reducing capability of natural cell is interesting. 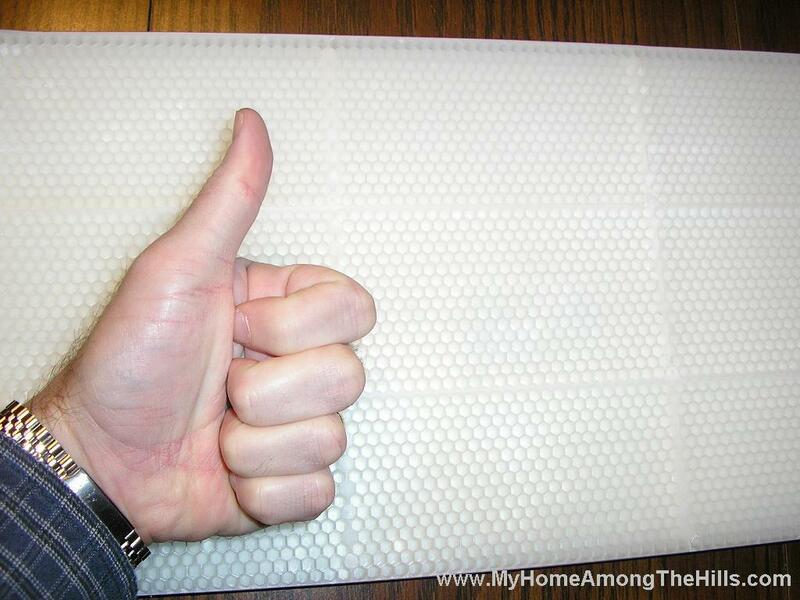 Top bar hives provide an interesting way of collecting honey as most (but not all) do not use honey supers. In that case, of course, you won’t suffer from wax moths either. 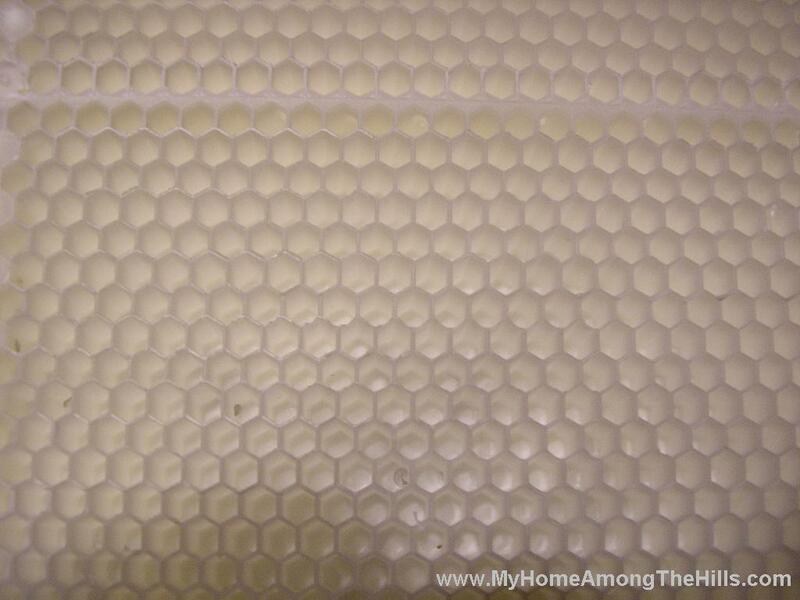 I don’t know that I like the idea of making the bees rebuild honeycomb after every harvest (I don’t want to give up any honey that they need to build it), but your wax will always be clean and clear which is nice. Anyhow, please do post on your experience! ETW – don’t worry! I am sure to post much more on bees as the season progresses! If only my wife could be so enthusiastic! Thanks for another great beekeeping lesson. Thanks for the useful information! When I get my bee stuff I’ll remember this. Christy O – When you try it, I’d start slowly of course…make sure it works for you too! I enjoy the bee posts as well. Living vicariously through your writing until I can get my own :-). I have more info coming soon! I don’t want to overwhelm the apis-phobic among us though! inadvertent farmer’s last blog post..Let’s Go Fly a Kite! Warren, we’re following your progress with interest since we want to keep bees someday. I’d read about the smaller cells being more naturally-occuring and aiding in circumventing some of the hive problems that can occur. The thing we’re wondering is if top bar hive combs cells also naturally are built smaller, or does it depend on the type of honeybee building it? We’re not sure what to start with, and living in Florida we’re pretty positive we’ll have to head off the parasites from the get-go. A lot of beekeepers here likely go the chemical route…we’re trying to look at options ahead of time since we’d like to stay away from those. Anyway, it’s fun learning from you guys and seeing what works for you! Kim – I hope he likes the info! I found some more neat info on HSC so I will share that soon! 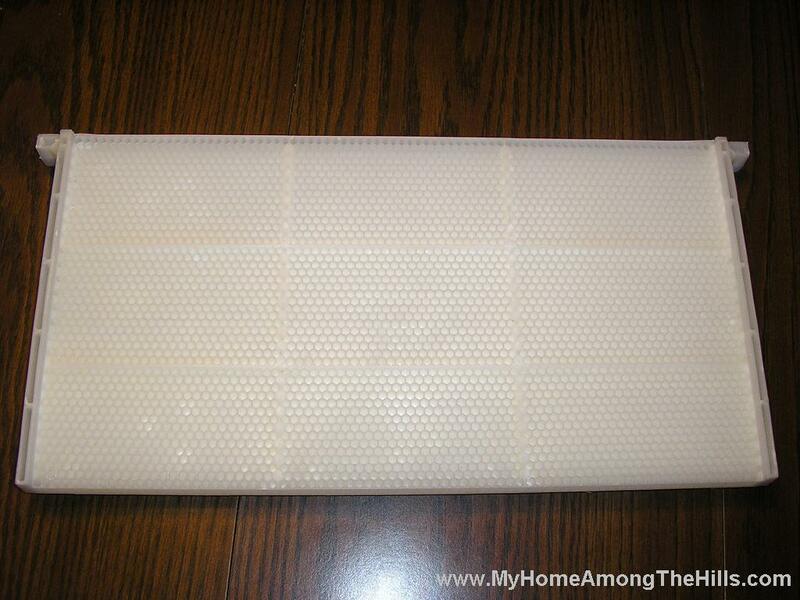 Robbyn – natural cell which is what you’ll have with top bar hives is typically smaller, but also bigger. The bees make cells the size that they need. That’s a really good thing of course. TB hives are not mite free, but are typically healthy and better off than many commercial hives. Sometimes chemicals are probably necessary to keep a hive alive, but I surely prefer to do what I can to avoid it for as long as possible! hello warren, I am from Europe, Romania, and my mail adresss is rsmarcel68@yahoo.es, and I have studied very much the 4,8 mm/4,9 mm cell and I want to addapt my bees as it was in the beginning of times. My problem is that in Europe there are no manufactorers that can build this kind of smaller cells. My request, please, is to provide me some American adresses of shops from where I can buy frames with small cells of 4,8 mm/4,9 mm already built (the queen must only lay the eggs there). I need some completely frames so that the bees must not built the cell from wax for the queen. The cell must be entirely from plastic so that the queen lay the eggs in the cell. I want to do like you. will you help me, please? I stumbled onto your sight while researching HSC…wasn’t sure what it was…you gave a great, detailed description. I’ll be following your site. I have 1 Langs and 1 TBH. The Langs is an old hive given to me. I took all the foundation out and fixed them with strips of wood like TB. I have been reading about HSC and will be intereted to see how you make out with it. How will you change all the frames from the hives that are currently in use to the HSC. 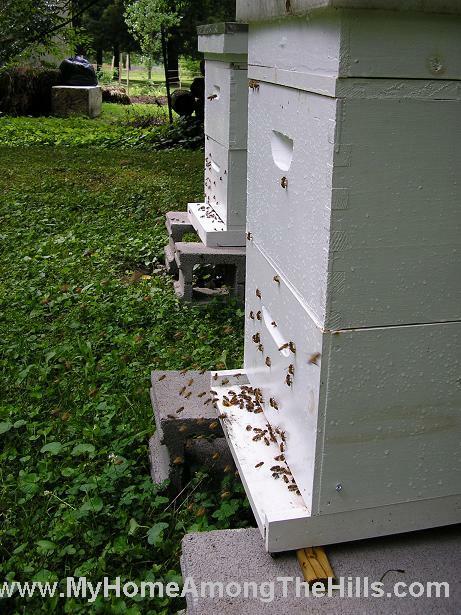 I have a hive with one frame with foundation that has brood. How would I get that one out of the hive. I assume the Queen will keep laying on it. I just slowly start replacing one or two frames at a time when I am in there. I usually shoot for frames that are light on brood or eggs. Of course, when I start new hives or make splits, I always start with HSC. Does the HSC come coated in beeswax or do you have to coat it or do you put it in uncoated and the bees coat it or do the bees just use it without coating it and then cap it?